© Malcolm Griffiths/GP2 Series Media Service. Former Auto GP champion Kevin Ceccon is to rejoin the GP3 Series with Jenzer Motorsport this weekend and will remain with the Swiss squad for the rest of the season. The Italian, who has not raced in as of yet in 2014, announced the move via his Twitter account earlier today. 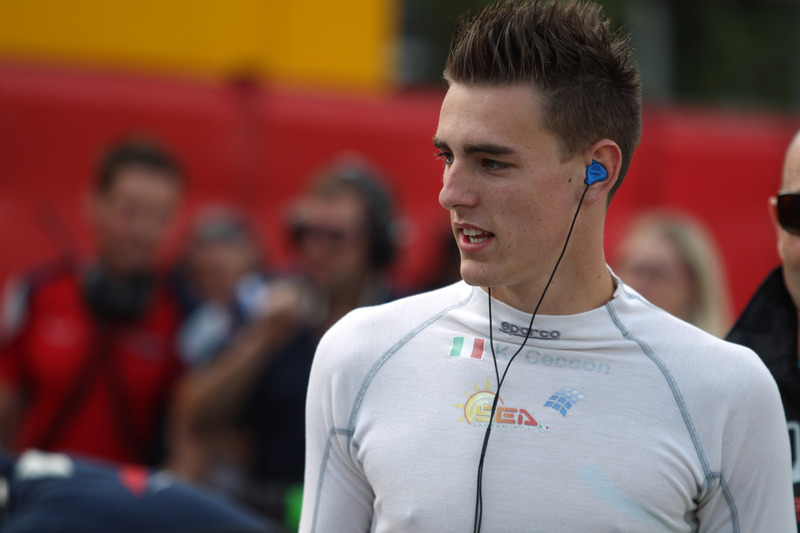 Racing alongside new Jenzer teammates Pål Varhaug and Mathéo Tuscher, Ceccon will replace Christopher Höher, who had originally replaced Adderly Fong. Ceccon has endured something of a topsy-turvy relationship with the GP2 and GP3 Series, having moved back and forth between them on several occasions over the past four years. The 20-year made his GP2 debut with Coloni alongside his Auto GP commitments in 2011, but his campaign came to a premature end before the halfway mark after he scored no points. In 2012, Ceccon completed a year in GP3 Series with Ocean Racing Technology and eventually finished 9th in the standings, which included a podium in the chaotic opening race at Monaco. A return to GP2 last meant another half season, but the now Trident racer did take one podium – again at Monaco – however he year came to an end following the Silverstone round in July. Ceccon’s last race of any kind came at the International GT Open Series at Barcelona last November in the GTS Class, when he took a 16th and 17th place finishes overall alongside teammate Stefano Constanini in the Ombra team.